A recent JRC Technical Report describes new methods for measuring the potential environmental and human impact of chemical emissions, to be used in calculating the environmental footprint of products and organisations over their entire life cycle. Based on a huge data mining effort of data from the Registration, Evaluation, Authorisation and Restriction of Chemicals (REACH) and the European Food Safety Authority (EFSA), this represents a substantial improvement in the consistency and number of substances previously covered in environmental footprint calculations. As part of the Single Market for Green Products Initiative, the JRC and DG Environment developed the Product Environmental Footprint (PEF) and Organisation Environmental Footprint (OEF) methods in 2013 to help producers and other organisations measure environmental performance. These methods, based on life cycle assessments, include a list of impact categories to be used for hotspot analysis and for communication to consumers or to businesses. The impact of a product or service in different impact categories is measured by characterisation factors. 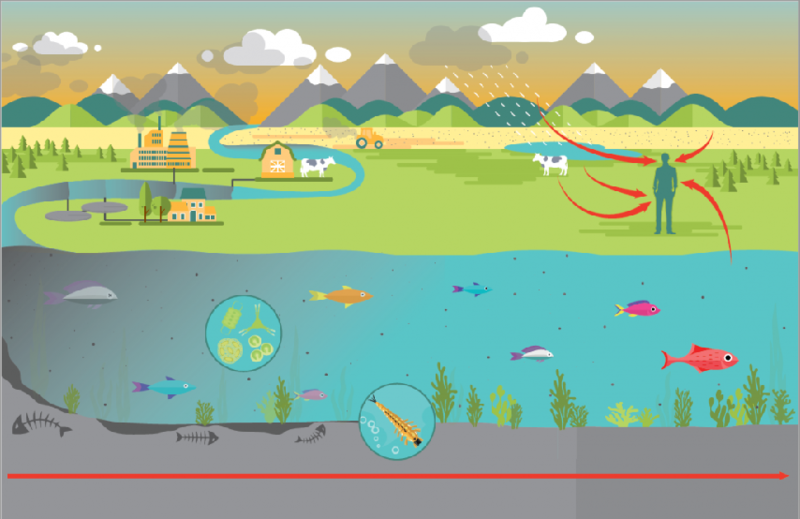 At the request of DG Environment to increase the number of available characterisation factors in the Environmental Footprint methods, the JRC calculated new freshwater ecotoxicity characterisation factors for 6 011 substances, 3 423 for human toxicity non-cancer and 621 for human toxicity cancer, and improved the consistency and robustness of the characterisation factors for thousands of other substances. The JRC Technical Report describes how these new characterisation factors were calculated. The new measures of chemical toxicity can be used to generate more consistent, comprehensive and robust assessments of the impacts of toxic emissions of products and organisations. Both the measures and the methodology used to calculate them can be applied to all schemes based on environmental performance assessments of products and organisations, e.g. environmental labelling schemes. Communicating this information about the environmental footprint of products and organisations enables consumers to choose products with lower overall toxicity, and industry to manufacture products that have a lower toxic impact along the entire supply chain. This contributes directly to the European Commission's objective of a toxic-free economy.